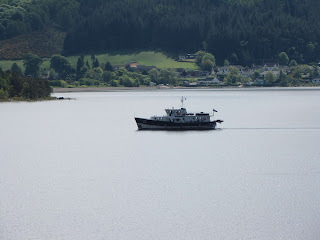 Departing Inverness we are headed north to find dolphins but the navigator, that would be me, missed the exit and we find ourselves heading south towards Fort William and decide to go where the highway spirit sends us. We soon are driving alongside Loch Ness of Loch Ness Monster fame. Loch is the Scottish, Gaelic and Irish word for a lake or a sea inlet. Some lochs could also be called a firth, fjord, estuary, strait or bay. Sea-inlet lochs are often called sea lochs. 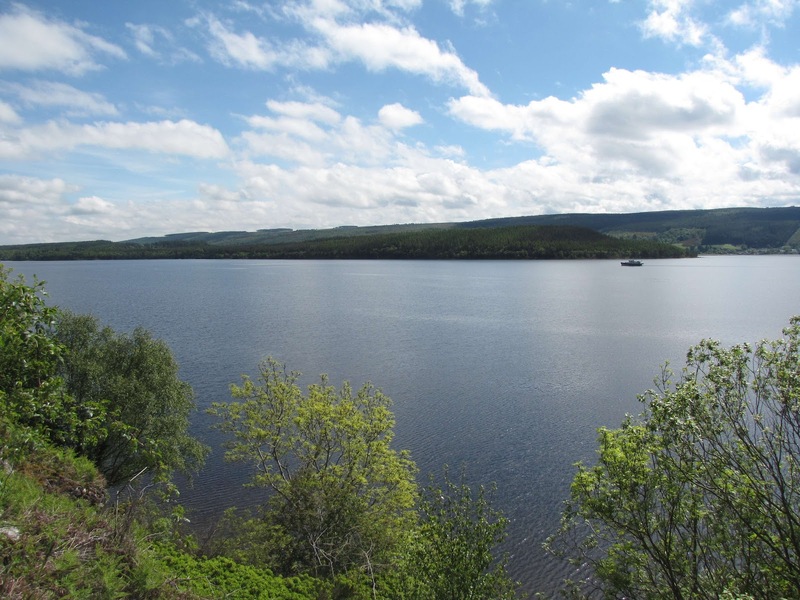 Loch Ness is a large, deep, freshwater loch in the Scottish Highlands extending for approximately 37 km (23 mi) southwest of Inverness. Its surface is 15.8 m (52 ft) above sea level. 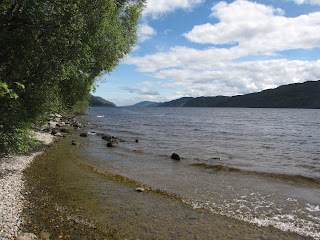 Loch Ness is best known for the alleged sightings of the Loch Ness Monster, also known affectionately as "Nessie". The water visibility is exceptionally low due to a high peat-content in the surrounding soil. Loch Ness is the second largest Scottish loch by surface area after Loch Lomond, but due to its great depth, its deepest point is 230 m (755 ft), it is the largest by volume. 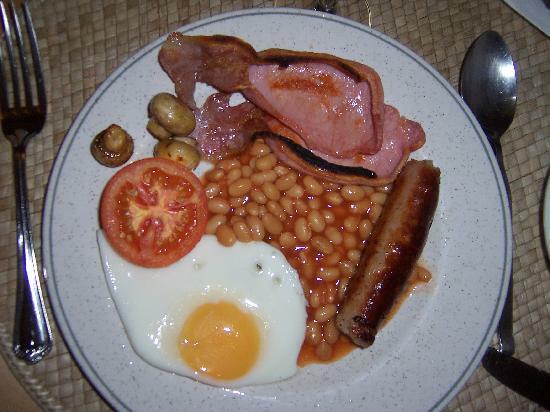 It contains more fresh water than all the lakes in England and Wales combined. 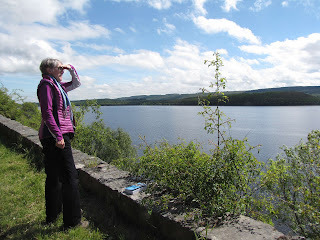 As we drove by Loch Ness we were able to see Urquhart Castle. 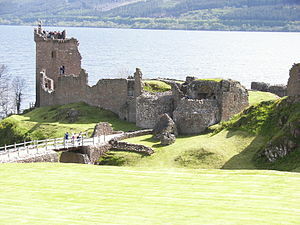 The castle sits beside Loch Ness between Fort William and Inverness. Though extensively ruined, it was in its day one of the largest strongholds of medieval Scotland, and remains an impressive structure. It is near this castle that the majority of Nessie sightings occur. 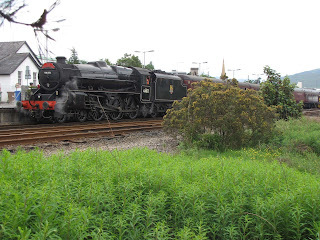 Arriving in Fort William we discover that the Jacobite steam train, used in the Harry Potter movies, was stationed in Fort William. 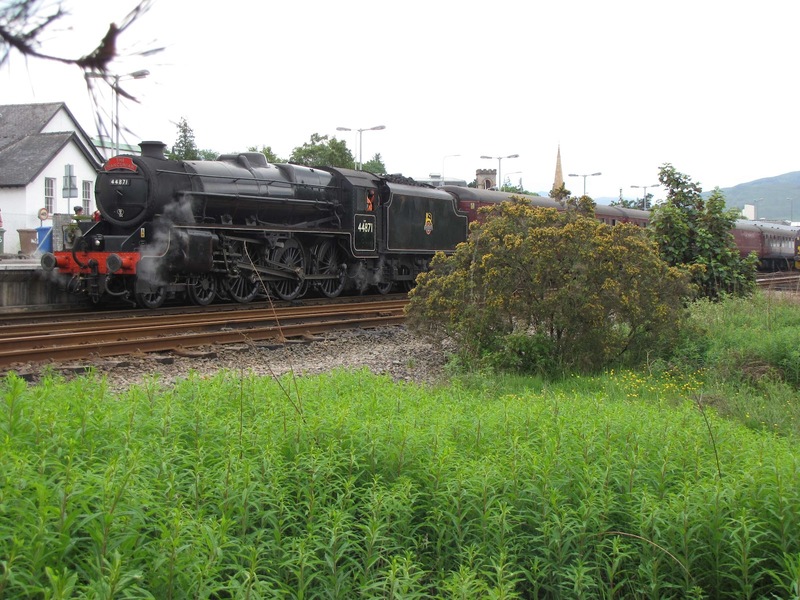 The Jacobite is a steam locomotive tourist train service that operates over part of the West Highland Railway Line. 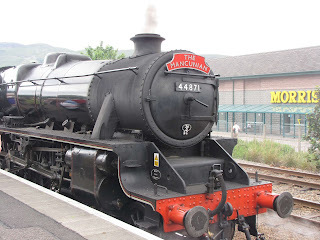 It has been operating every summer since 1984. Described as one of the great railway journeys of the world this 84 mile round trip takes you past a list of impressive extremes. Starting near the highest mountain in Britain, Ben Nevis, it visits Britain's most westerly mainland railway station, Arisaig; passes close by the deepest freshwater loch in Britain, Loch Morar and the shortest river in Britain, River Morar, finally arriving next to the deepest seawater loch in Europe, Loch Nevis. 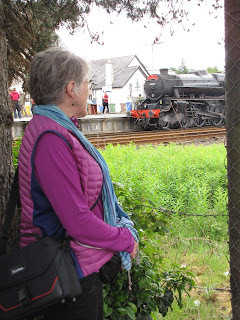 The train stops en route to Mallaig at the village of Glenfinnan. 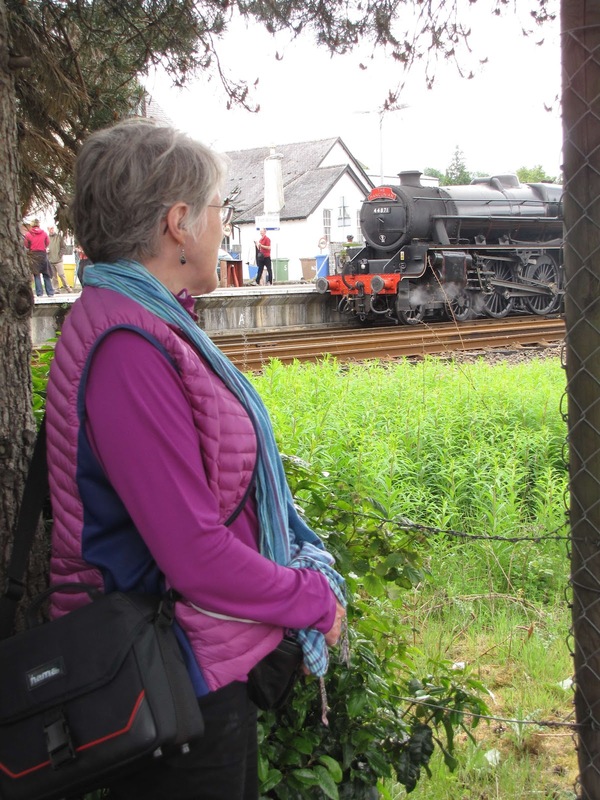 Beyond Glenfinnan are the beautiful villages of Lochailort, Arisaig, Morar and Mallaig. 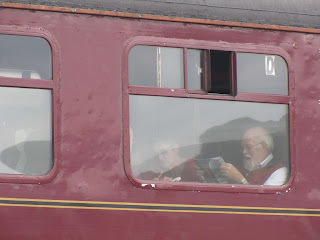 The train continues on from here passing Morar and the silvery beaches used in the films "Highlander" and "Local Hero". 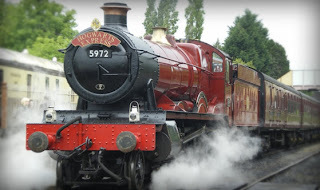 Some of the carriages of ‘The Jacobite’ are those used in the ‘Harry Potter’ films. 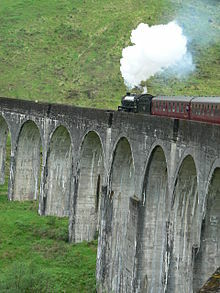 You can see the famous Glenfinnan viaduct, an unmistakable landmark for all Harry Potter fans. 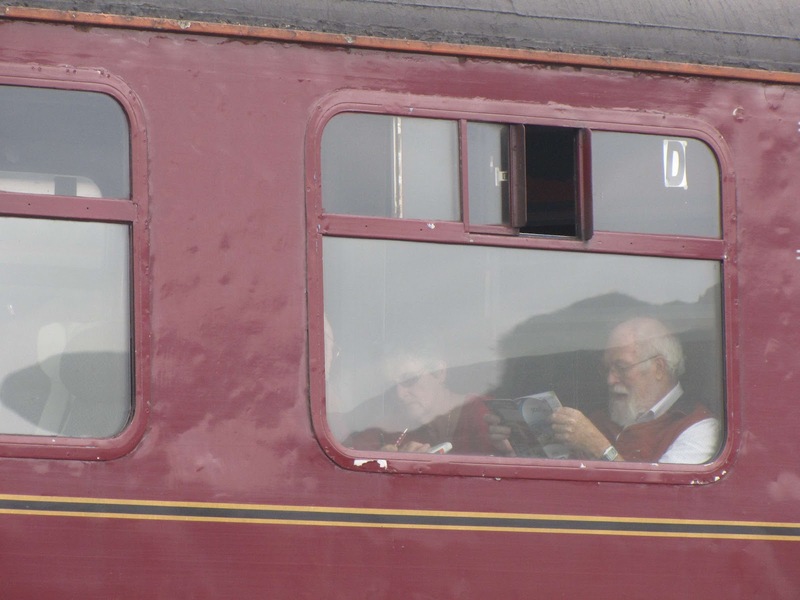 Notice Professor Dumbledore on the train. Leaving the Jacobite, we visited the West Highland Museum, in the centre of Fort William. 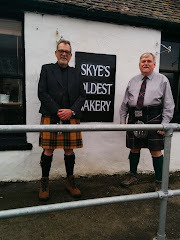 It tells the story of the mountainous West Highlands of Scotland and its people. It has seven rooms on three floors, with an extensive collection of exhibits relating to the Jacobites, including the eighteenth century "secret portrait" of Bonnie Prince Charlie. Later royalty is represented by a collection of Victoriana, including the Highland regalia gifted by Queen Victoria to her favourite servant, John Brown. 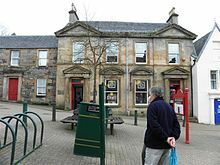 The museum aims to cover every aspect of West Highland history, with other exhibits for archaeology, wildlife, Highland life, and military history including the history of Fort William itself. 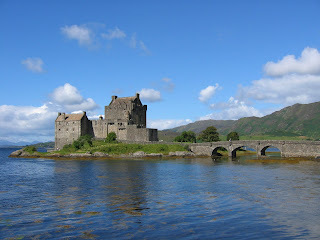 Leaving Fort William, we headed towards the Isle of Skye, stopping at Eilean Donan Castle. Eilean Donan is a small island in Loch Duich in the western Highlands. It is connected to the mainland by a footbridge and lies about half a mile from the village of Dornie. Eilean Donan (which means simply "island of Donnán") is named after Donnán of Eigg, a Celtic saint martyred in 617. Donnán is said to have established a church on the island, though no trace of this remains. The island is dominated by a picturesque castle which is widely familiar from many photographs and appearances in film and television. The castle was founded in the 13th century, but was destroyed in the 18th century. The present buildings are the result of 20th century reconstruction. 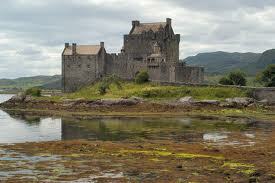 Eilean Donan Castle is the home of the Clan Macrae. Finally, arrived in Plockton and the Hill Side B & B for a good night’s rest. Your photos are excellent... i'm daydreaming!